The city of Scottsdale in Arizona is known for its tourism industry. This sector employs more than 30 percent of the local workforce. To five a fillip to the local IT industry, KnowledgeHut has introduced a series of workshops on CSD certification in Scottsdale. The duration of each such workshop is five days. 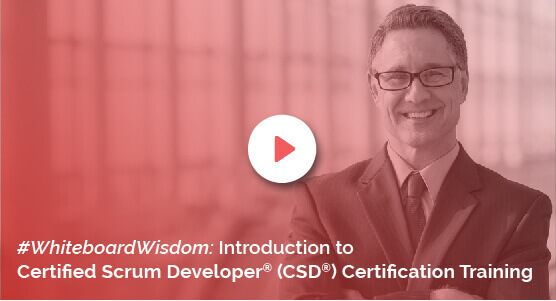 CSM credential holders who are QA professionals, software testers, product managers, project managers, developers, solution architects and other IT professionals can join the CSD course in Scottsdale. The training will be led by qualified tutors who have worked for several years as certified Scrum masters. The course fee of this Certified Scrum Developer training in Scottsdale includes the exam fee as well. Enrol in this unique course and get free access to the online coursework for 100 days. All the successful candidates of the Certified Scrum Developer certification in Scottsdale are given a two-year membership in the Scrum Alliance. This workshop is being organised by KnowledgeHut, global partners of the Scrum Alliance. KnowledgeHut aims to set your career on fast track with its expert tutors and high standards of training so that you are able to carve a niche for yourself in the tech industry and set benchmarks for individuals and teams with the highest quality of work.